If you’re considering mobile homes for sale in Tampa or a nearby Florida community because you’d like to enjoy this area’s enviable lifestyle of fun and sun without spending your life’s savings on housing, then you’re making a smart move. Mobile homes, also known as manufactured homes, can offer all the comforts and safety of site-built homes, and many even include luxury features, such as island kitchens. However, manufactured homes typically cost substantially less than site-built homes. Particularly for older adults who are retiring or perhaps cutting back on their work hours so they can enjoy more leisure time, the decision to live in a manufactured home can be a wise choice. 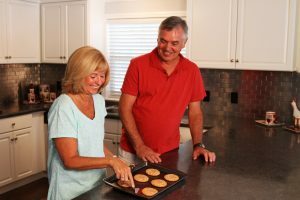 However, you will want to make the most of your decision by choosing a high-quality manufactured home in a professionally managed community that specializes in providing resort-style amenities for adults 55 and older. Another reason to put StrawBerry Ridge at the top of your list for serious consideration is our community’s location on the edge of fast-growing Tampa. This spot offers convenient access to a wide variety of job and volunteer opportunities and no shortage of available sightseeing adventures only a short drive away. To find out about the mobile homes for sale at StrawBerry Ridge near Tampa, FL, contact us today.